Most of you already know, but I am a proud Mommy to 2 little fur babies. I have 2 female cats, one who I have had since I was 13, and another that I recently adopted. They are pretty much my children. They are apart of my family, and each has a huge piece of my heart. So naturally I like to pamper them, and give them the royal treatment that they deserve! I have been feeding my cats the mass made cat food that can be found in all mass retailers. I honestly don't know what is in the food that I am feeding them, which now that I think about it, it's quite alarming. Half of the ingredients on the label are completely foreign to me. Thus why I am glad that I was introduced to Petbrosia. 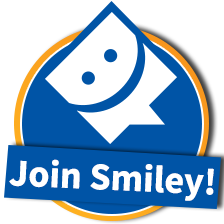 They are a company that takes your pets (dogs and cats) stats, and designs a pet food that is ideal for them and their nutritional needs. Pretty cool right? Starting the process was simple. I went to their website, http://petbrosia.com/ and clicked the Begin Here button. I was asked to enter in information about my cat, such as age, birthday, weight, body mass, spayed, etc. Within minutes my specialized order was ready to be placed. The food is available in 3 pounds ($14.94), 5 pounds ($22.45), 10 pounds ($34.90) and 20 pounds ($59.80). Checkout was a breeze, and within a few days my order arrived at my doorsteps via UPS. As soon as I opened the bag, I could smell the food, and it had the smell of real food (a fishy chicken smell). 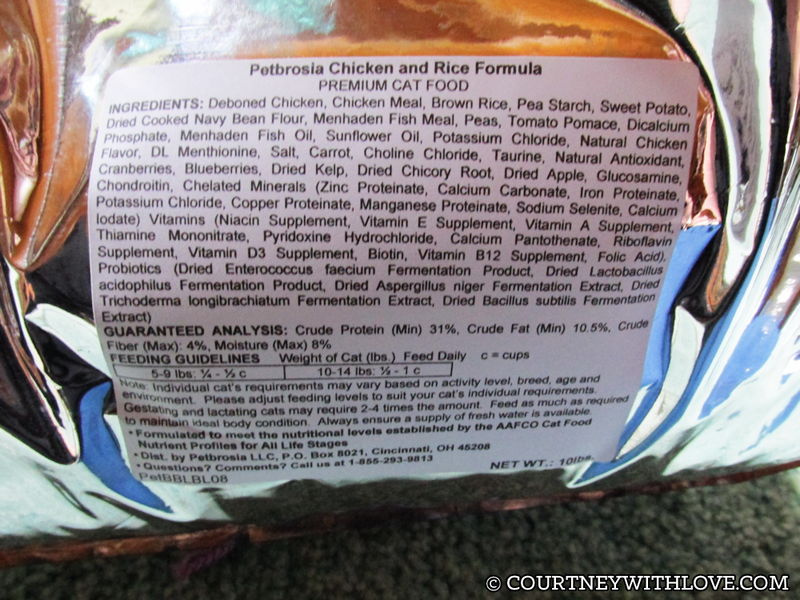 You can view the ingredients they use here: http://petbrosia.com/our-product/ingredients/. I wanted to see my cats first reactions. 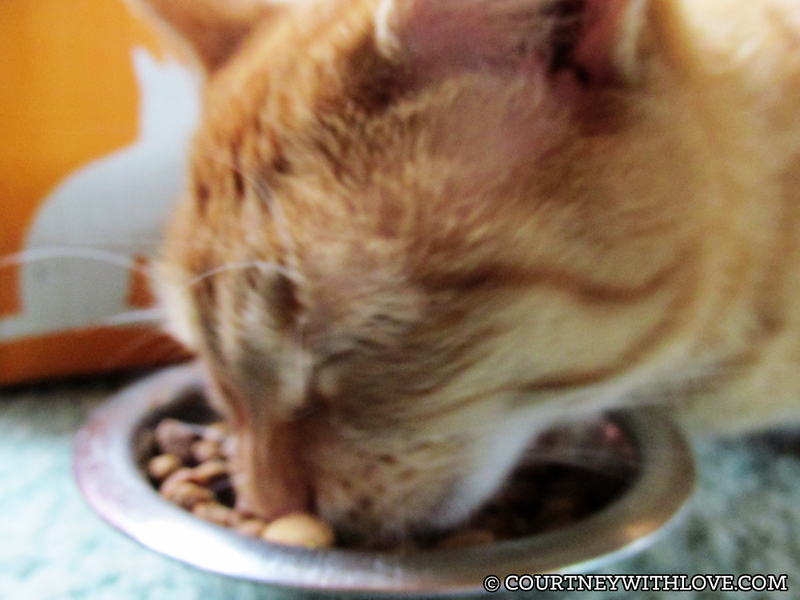 So I grabbed my camera, and their food bowls! The second I filled up their dishes, my younger cat came running. She dove right into the food, as you can see below in the photos and video. 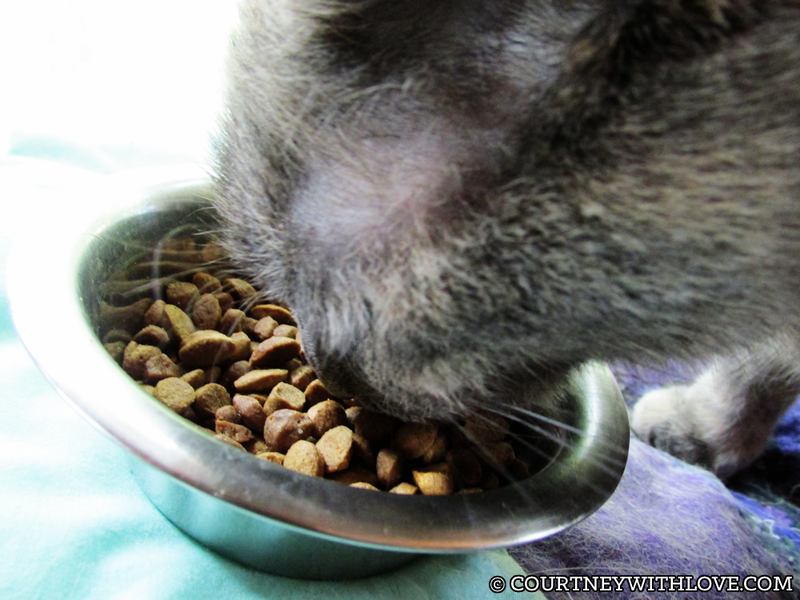 I also took some food down to my VERY fussy older cat, and she too just chowed right down on the food. 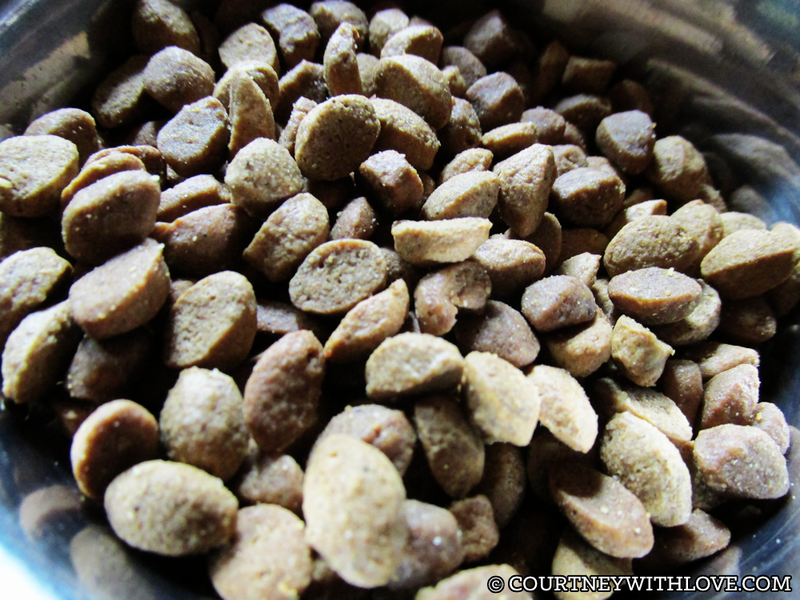 My older cat has some teeth problems, and she was able to eat this food with no problems. That night I did a test to see how my cats would react to the food over night. Being that I have 2 cats, I have 2 food bowls. I put my regular cat food in 1 bowl, and the Petbrosia cat food in the other. When I woke up the next morning I found the Petbrosia cat food bowl completely empty, and the other cat food bowl still had all of its food left. So I think it was pretty obvious which food my cats preferred! 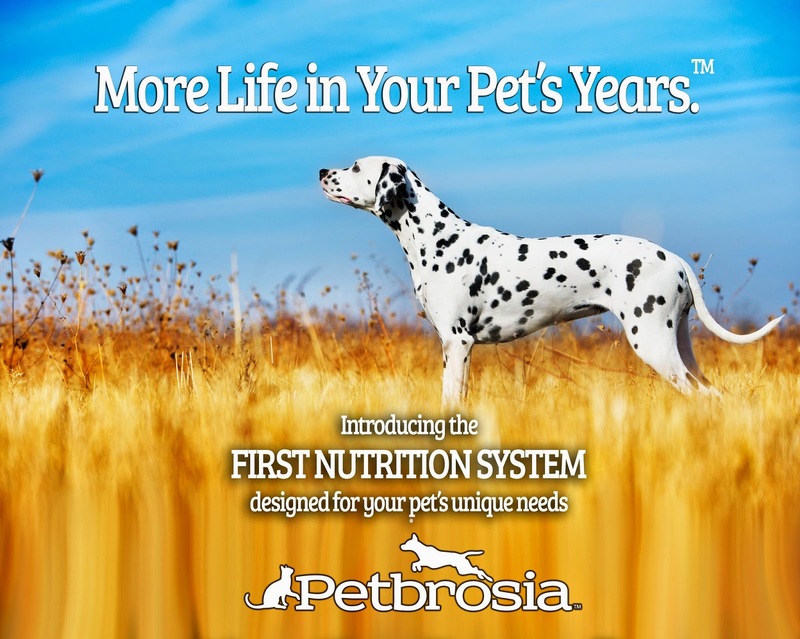 Overall I am very pleased with Petbrosia, it is a company that I am even telling my family and friends about! But the honest truth comes from the ones who tried this food out, my kitties! Since they can't talk (or type!) 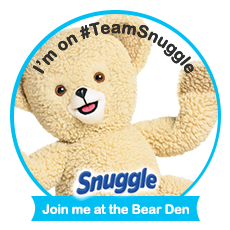 I think I will let the pictures and video below speak for itself! DON'T FORGET TO SCROLL DOWN TO ENTER INTO A GIVEAWAY TO WIN A 3 POUND BOX OF PETBROSIA FOR YOUR FURRY FRIEND! 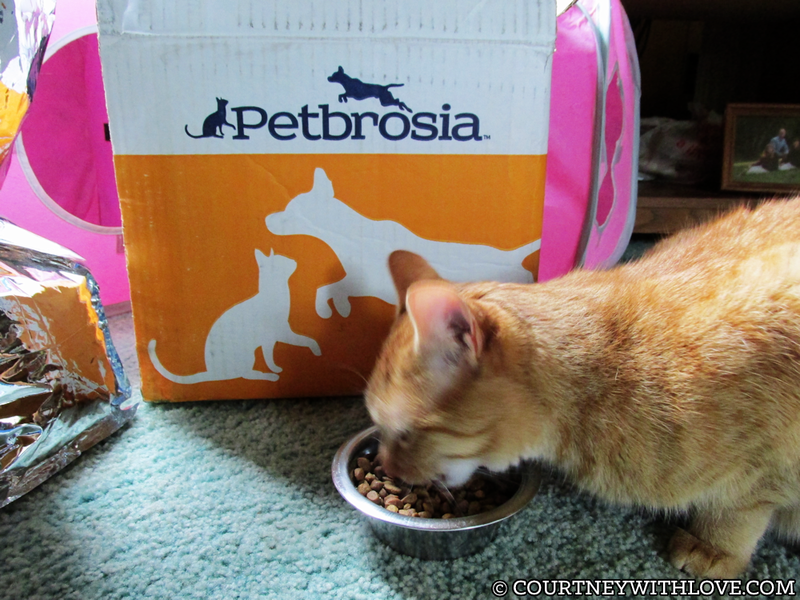 The kind people at Petbrosia are kindly sponsoring a giveaway in which one of my lucky readers will win their own 3 pound box of Petbrosia Dog or Cat Food made just for their pet! Please note that this is only open to the lower 48 states. Hawaii and Alaska not accepted. No PO Boxes, USA addresses only!